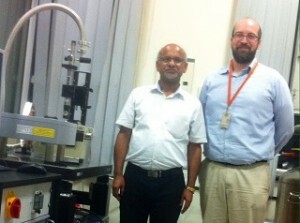 India’s first NanoMOKE3 has been installed at the National Physical Laboratory in New Delhi. The National Physical Laboratory is the National Metrology Institute of India and a premier research laboratory in the field of Physical Sciences. The system includes our cryogenic sample stage, allowing hysteresis loops and domain imaging to be performed at temperatures down to 4.2K.